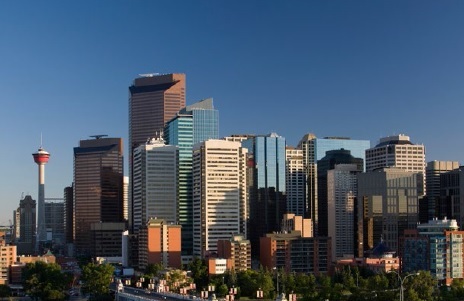 Despite lower oil prices, Calgary and Edmonton’s commercial and industrial real estate market is expected to have a good 2015 as demand continues to rise, according to a Canadian Market Outlook report by CBRE Ltd. The Albertan cities, along with Vancouver and Winnipeg, account for more than 45 per cent of industrial estate construction, despite only representing 28 per cent of the country’s industrial inventory. The study echoes the sentiments of a similar report from REALpac earlier this week in which industrial buildings were found to generate $21.7 billion to Canada’s economy. The report also acknowledges that there is a historic amount of capital is propelling Canadian commercial real estate into new territory as new players, capital sources, and heightened regulations becoming increasingly important factors to consider. “We have never seen capital markets so deep, with domestic and global capital pursuing commercial property across Canada. Real estate has a larger role than ever before in many investment portfolios. The challenge is finding a home for all this capital,” said Peter Senst, CBRE’s president of Canadian Capital Markets, in the report. The company said Canadian commercial real estate purchases are expected to total $25.5 billion in 2015 and developers in Canada are adding 21.7 million square feet of new office space to the market. With the wave of recent investment in industrial real estate as opposed to residential, realtors across the country are taking advantage of the opportunities. Peter Epstein, a sales representative with Keller Williams, said that he sees more and more of his clients looking for industrial properties to invest in. “One of them owns a contracting business and holds an industrial property, but his business is expanding and he’s look at buying another one and leasing out the old one,” said Epstein. Despite all the positives, demand still outweighs supply to some degree, as Epstein also has other clients who are finding it hard to find industrial properties in a good location. “Interest rates are low and holding real estate guarantees some leverage, but it doesn’t mean there are properties everywhere. I’ve been looking for months for one client and haven’t found anything yet,” he said. Despite all the positives, demand still outweighs supply to some degree, as Epstein also has other clients who are finding it hard to find industrial properties in a good location, echoing a similar issue addressed in the report.